Unless you’re a morning person, this scene is sure to be familiar: your morning alarm goes off, your brain is jumbled, your muscles ache, and it feels like every drop of energy has been sapped out of you. Once you finally set your feet on the ground, you feel like you’re on autopilot and slog through your morning routine until your first cup of coffee. But thankfully, there’s a solution to this daily curse- a morning yoga routine. Yoga has been a common practice for over 5,000 years developed initially by a civilization in Northern India to encourage action, wisdom, and self-knowledge from within. 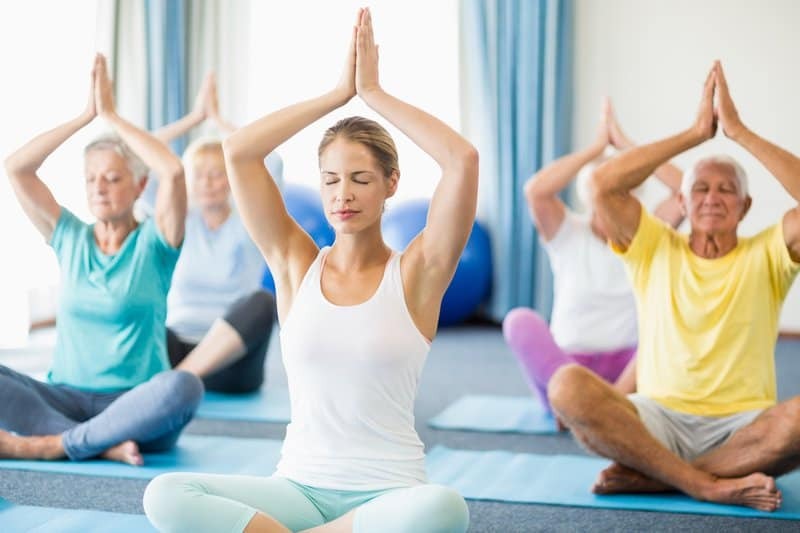 Modern studies have continued to affirm its benefits on the mind and body, with one study from The Journal of the Association of Physicians of India finding that yoga can even decrease cholesterol and disrupt the progression of heart disease. 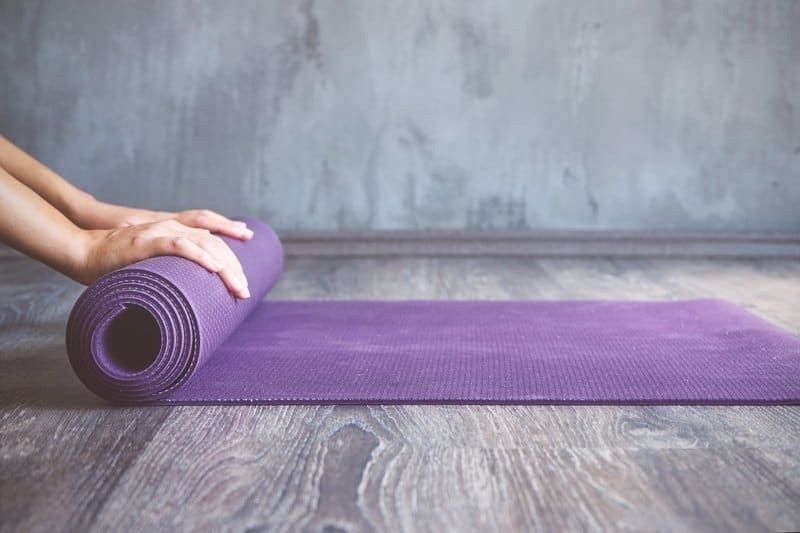 Improved health is just one of the many benefits of yoga in the morning, so whether you’re a yoga professional, or you’ve only heard of the meditative practice today, you can start your own morning yoga routine today! You Can Even Do Morning Yoga in Bed! Studies have found that yoga can help to improve your focus making a big difference in how you start your day. In as little as 20 minutes, a single yoga session was shown to improve speed and accuracy in regards to working memory. 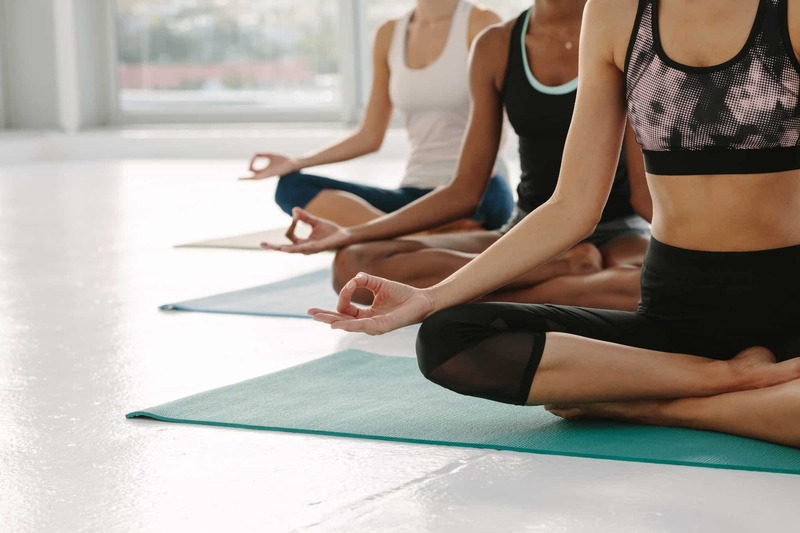 According to Neha Gothe, a Wayne State University professor of kinesiology, health and sports studies, improving one’s self-awareness through yoga has led to boosts in performance. Yoga exercises, by slowing your breathe and forcing you to focus on the here-and-now, encourage relaxation within your system. Harvard Health Publishing states that many reviews of yoga practices have suggested that exaggerated stress responses can be reduced, decreasing anxiety and depression. By shedding yourself of yesterday’s stress with morning yoga poses, tackling the day ahead of you will surely be much easier. If you’re not a morning person, waking up in the morning can be the biggest challenge you face all day. However, a morning yoga routine may be just what you need to energize yourself for the rest of the day. According to a 2017 study by the University of London, yoga poses can increase your energy, sense of competence, and even self-image. If a morning yoga routine sounds like exactly what you need to improve the start of your day, there are many poses, or asana, to choose from that are proven to focus, relax, and energize you. Check out these morning yoga poses that are guaranteed to balance your state of mind and prepare your body. For this yoga pose, first get down on all fours. Then, drop your back down towards the floor as you gaze up at the sky and inhale. Bring your head down to look at your belly button and arch your back upwards as you exhale, repeating this for five breaths. To get into this pose, start on your hands and knees with your knees directly below your hips and your hands ahead of your shoulders. Then, press back and lift your knees and tailbone up while you keep your arms straight. As you stretch your heels to the floor, hold this pose for 30 to 60 seconds. For this pose, stand up and let your upper body hang over your legs with your knees bent. Start to straighten your legs as you inhale, then exhale as your head slowly moves down towards your feet. Hold this pose for five breaths. Begin this pose by spreading your feet wide and turning them to different angles while holding your arms parallel to the floor. Reach your entire body down towards your right leg with your left arm pointing straight up at the sky and your right arm holding your shin. Hold the position while inhaling and exhaling for 30 to 60 seconds. For this pose, you need to assume a praying position. Rest on your shins as your knees are bent beneath you, then bend forward and rest your arms on the ground in front of you. Keep your head bent down to the floor, stretching your body while you inhale and exhale for 30 to 60 seconds. If you’ve never forayed into the wonderful world of yoga, there’s no need to worry. The point of yoga is to relax and revitalize, not to intimidate: there are many ways to do morning yoga for beginners! Here’s a short yoga routine that any newcomer can do to start their day off right. Note: each pose should be held for five to eight breaths. Assume this pose by grounding your feet, pressing each corner of your foot against the ground evenly. Start with your arms straight at your sides before stretching them up towards the floor, drawing your ab muscles in and up. Hold this pose for 30 seconds. As the name entails, raise your arms up over your head with your palms pressed together firmly. Keep your shoulders released away from your head and activate your triceps, all while keeping your ab muscles engaged and your legs firm. Hold this pose for 30 seconds. Step your left foot back one leg length apart from your right leg. Lunge your right knee forward as you press your left foot into the mat. Keep your knee above your ankle as you hold this pose for 30 seconds. Open your arms, hips, and waist to the side as you keep your head looking forward, spreading your right arm straight forward and your left arm straight back. Keep your torso even between your legs as you draw in your abdominals and hold the pose for 30 seconds. While it’s not required to have specific materials to do yoga, since you can even do morning yoga in bed, there are a few things that you can add to your tool-set to improve your yoga experience. This starter kit from Amazon includes a yoga mat, yoga block, and a yoga strap to help you advance your practice. If you’re a more experienced yoga lover, you might be looking for a routine that challenges you at the crack of dawn. This advanced 10 minute morning yoga routine will be sure to wake you up and prepare you for the day, all while strengthening your mind and body. To get into this pose, begin in a kneeling position before gradually bending your upper torso backward until your arms are extended back and your hands are touching the soles of your feet. Completely extend your head backward and hold this position for 60 seconds. After the camel pose, sit back down and bring your legs in front of you. Move your right leg to bend inwards, with your toes touching your left leg’s inner thigh. Inhale and extend your spine while pivoting your belly button to face your straight leg as you grab your left foot. Then, stretch even further to wrap your wrist around the ball of your left foot, inhaling as you do so for five breaths. To make this pose advanced, lasso a yoga strap around the balls of your feet. Wrap the strap around your shins twice as you bring your legs up against the wall. Tighten the strap by looping it around your feet and let your legs fully relax. Hold this pose for 30 to 60 seconds. Place a block (at its tallest orientation) underneath your lower back, threading your fingers in front of the block and hugging your shoulders in. Then, get a firm grip with your hands while keeping your arms hugged in, and extend one leg at a time for 30 to 60 seconds. This pose is a more advanced version of the low plank. Assume the position of a push-up while taking a full inhale and exhale before transitioning out of the pose. Repeat this for five breaths. This final pose may be the most difficult of the bunch, having you do a split with each leg pointing in different directions while you bend your body to the right. Your right arm should be resting on the ground and pointing to the left, while your left arm should be stretched above your head and pointing towards the right. This pose should be held for 30 to 60 seconds, and then you’re done! Rest your hips on your heels and your palms on your knees, then inhale and bring your head up to lengthen your spine. Then, as you exhale, bring your palms to the floor in front of your knees while arching your spine. Here’s when you act out the pose’s namesake, and roar like a lion with your tongue stuck out! This pose should be repeated for 30 seconds. This pose assists in weight loss because it helps to keep your thyroid healthy. By exercising your face, it tugs on your facial muscles to improve circulation through your face. This pose is simple: assume the position of a push-up, holding up your body with all four of your limbs. Practice this pose for 30 to 60 seconds. By stretching your leg, arm, and shoulder muscles, this pose increases your stamina and improves the stability of your core. To assume this pose, sit on the floor while twisting your spine halfway to the right while crossing your right leg over your bent left leg. Hold this pose for 30 to 60 seconds. This pose helps to tone your abs, as well as to stretch your back and to revitalize your digestive system. To do this pose, form a “V” with your body by raising your legs and upper body. This creates the image of a boat sailing on the water! Assume this pose for 10 to 60 seconds. Practicing this pose will help to tone your abdominal muscles, stretch your hamstrings and hip flexors, and stimulate your thyroid and intestines. Assume this pose by bending your right leg forward and keeping your left leg straight back while arching your spine backward and raising your arms together above your head. Practice this pose for 15 to 30 seconds. This pose helps you to lose weight by strengthening your gluteus muscles and quadriceps, stretching your hips, and stimulating your digestive system. To form this pose, your body should resemble a pyramid. Bend your body forward with one leg straight back, and one leg straight forward as you use both hands to touch the ground before you. Hold this pose for 30 seconds. By stretching your shoulders, legs, and hips, and stimulating your digestive system, this pose can help you to lose weight through improved circulation throughout your body. Lie on your back and bring your knees up to your belly as you exhale. On inhale, grab your feet while spreading your knees wide and bringing them towards your armpits. Hold this pose for 30 seconds. Doing this pose will help to relieve stress and calm your brain, putting you on a good track t to start the day. This pose specifically targets stretching the knees, inner thighs, and groin. While lying on your back, spread your legs apart and lay your arms to your side with your palms facing upwards. Then, bend your knees and have the soles of your feet meet while your legs are still spread, creating a diamond shape with your legs. Hold this pose for 60 seconds. This pose works to stimulate your heart, and overall circulation throughout your body! It also works to stretch your knees, thighs, and groin. While still in bed, keep your spine straight as you bring your left leg to bend over your right straight leg. Stretch your left arm straight out and rest your right hand on your bent leg. As you face your left arm, hold this for six to ten breaths. Through this pose, your body’s digestion system gets relief by massaging the abdominals to help remove toxins. This also helps to stretch and relax the spine! The great thing about yoga is that you don’t have to an expert to get started; there as poses for all fitness levels! Incorporating some of these yoga moves into your morning routine can add balance, stress relief, and clarity to your life. Start with just a few days a week if you’d like and try to work your way up to practicing yoga every day!